Contact me to share stories and memories of your Anglesey holidays. This is my Contact Me page. By that I mean that I really would love to hear from you about your stay on Anglesey - or your imminent stay. Maybe you've got a question you need to ask? 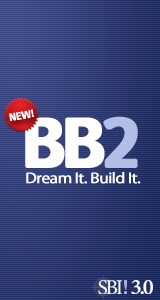 Maybe you want to share views about the site or suggest some improvements? A recent message I received told that the visitor to www.anglesey-hidden-gem.com was returning to her childhood home with her own children eighteen years on. My visitor wanted to share her love and passion for Anglesey with her children, so that they could, in turn, find their own lovely memories. I really am a soft touch when it comes to family stories about holidays on Anglesey. The warm memories of childhood really do create safe personal internal spaces that can last a lifetime. I would never share your story with anyone without your express permission, so you can either have a conversation with me or share a story you wouldn't mind appearing on my site. There again, why not get in touch to just ask a specific question in advance of your visit. If it is in my power to find that information for you, then I will. As the months pass by - and my need for sleep diminishes entirely - I will gently reveal to you the inner beauty of Anglesey. In the meantime I would be so happy to hear from you. Get in touch if you've got a thought or an Anglesey experience to share or a question to ask. Maybe you just want to share information or Just Want To Say Hello! All you need to do is fill in the form below and I'll get in touch with you as soon as I possibly can. Stumped by a metal detecting find! Can you walk across Dulas beach? Please update your web site. how safe are the beaches? Why are all the public toilets shut? Hi,wondering if you can help me? Menai Bridge or Porth Aethwy? What Roman History is there to see on Anglesey? Your Advice On Best Coastal Walk With Baby And Toddler! Where To Fish And Camp On Anglesey? 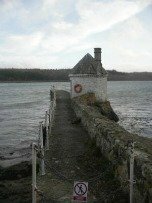 Where To Stay on Anglesey? Moelfre - Please Don't Ever Change! Any concessions on prices at Angesey Show 2011? 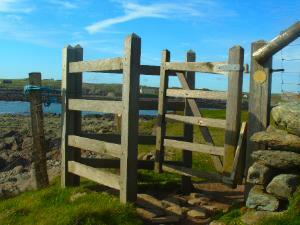 Wheelchair Access at Cemaes Bay and Church Bay? A Credit to the Island. Legal Requirements for Anglesey Gill Netting. 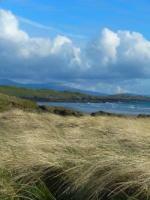 Can I take my dog onto Llanddwyn Island? I am rather biased I know but I think that Anglesey is absolutely lovely and I am always adding new information and writing you about my favourite places. This is such a lovely island and I really want you to learn to love it as much as I do. I reckon just one visit would achieve that. Please subscribe to my monthly e-zine so you don't miss a thing. 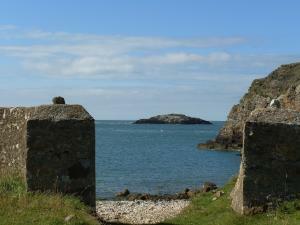 I promise to use it only to send you Anglesey Island Gems.